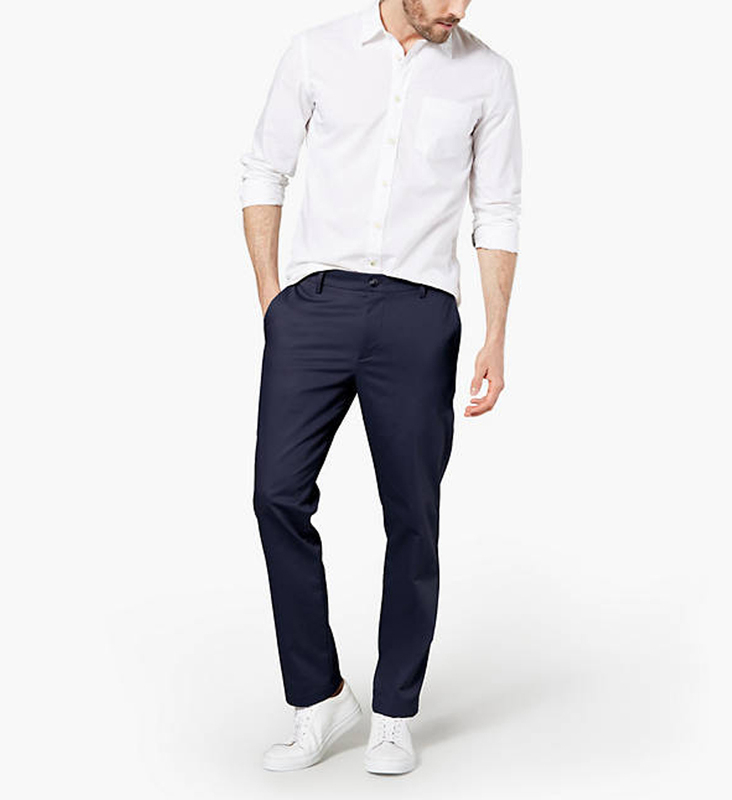 The new and improved breed of Dockers Khakis are built to meet the needs of today’s go-getters and are equipped with updated style, fit, and performance features to keep you looking sharp anywhere you go. 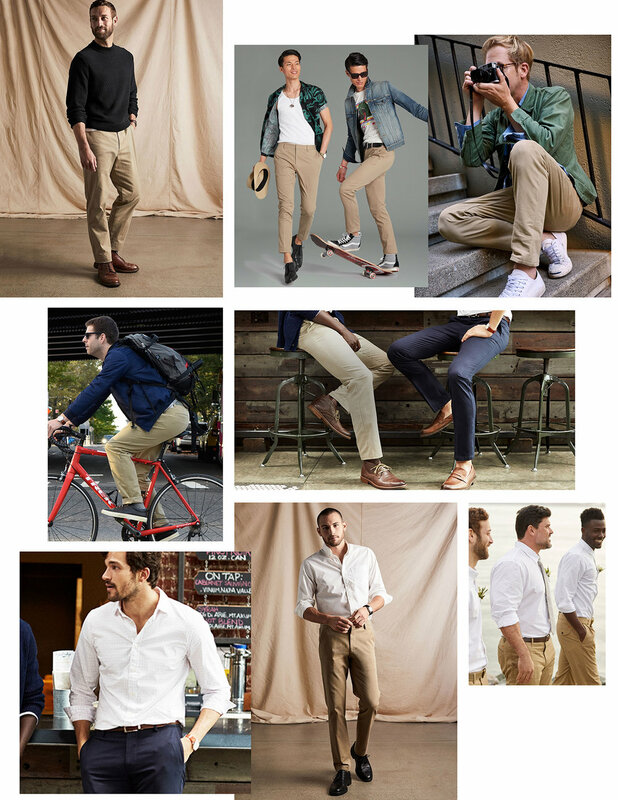 With the modern consumer in mind (that’s you and me), Dockers has redesigned their Signature Khakis with elevated performance and maximum comfort to withstand our dynamic lifestyles. 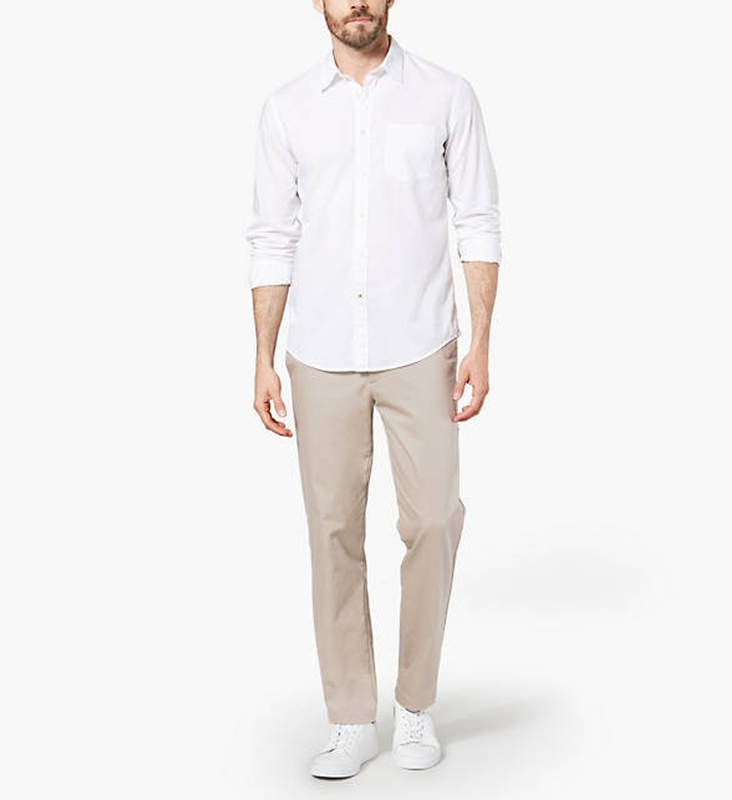 This updated fabric creates a smooth khaki material that maintains superior wrinkle free quality. 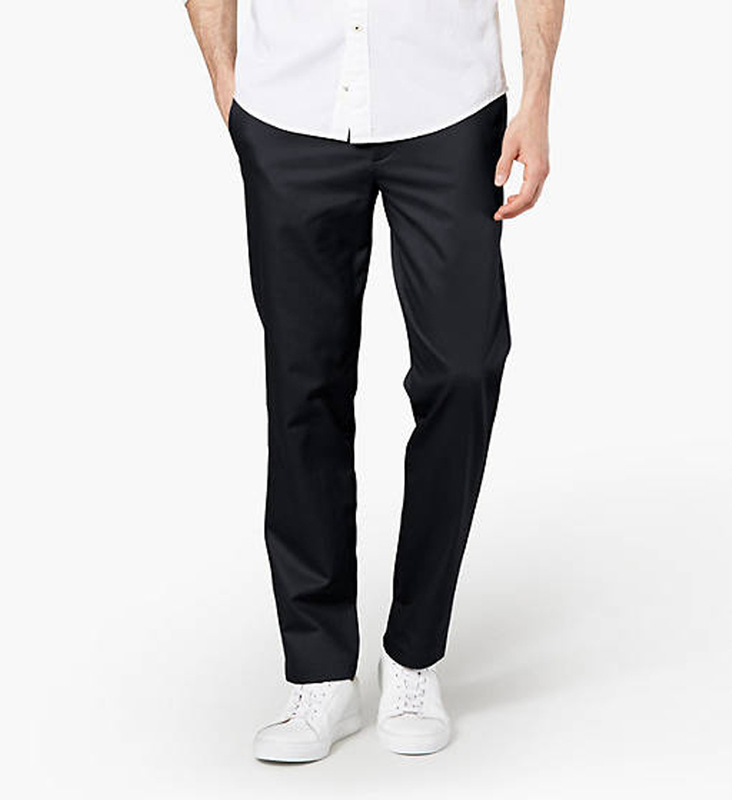 To optimize this design even further, Dockers also incorporated a Flex Comfort Waistband and Shirt Gripper to capitalize on what we want most in apparel which is comfort. Your favorite essential, now wrinkle free and with even more comfort to keep you looking sharp all day long. 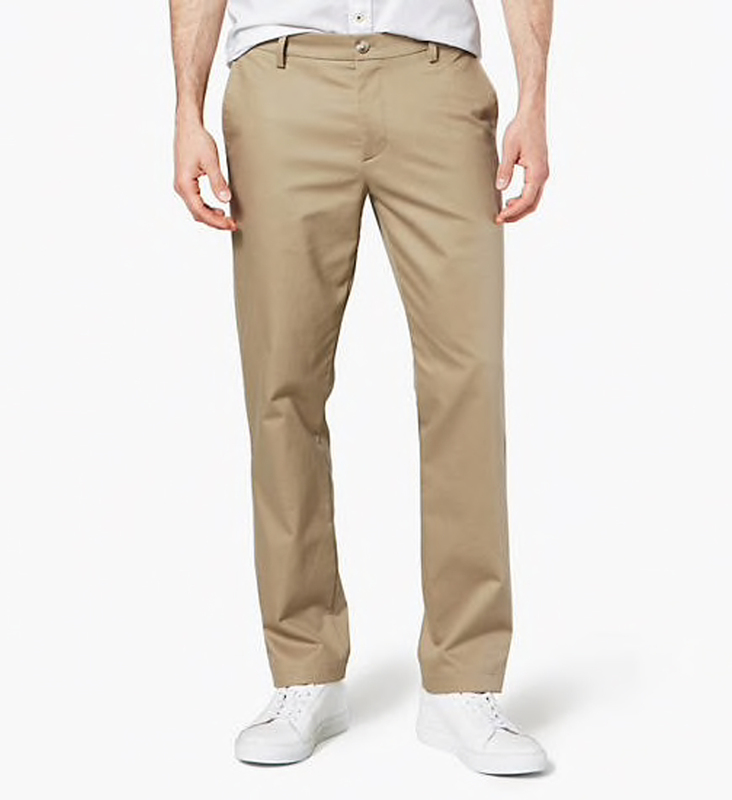 Along with these improved features, the new Dockers Signature Khaki comes creased or creaseless and in a variety of colors. Here I’ve selected six of my favorite styles. 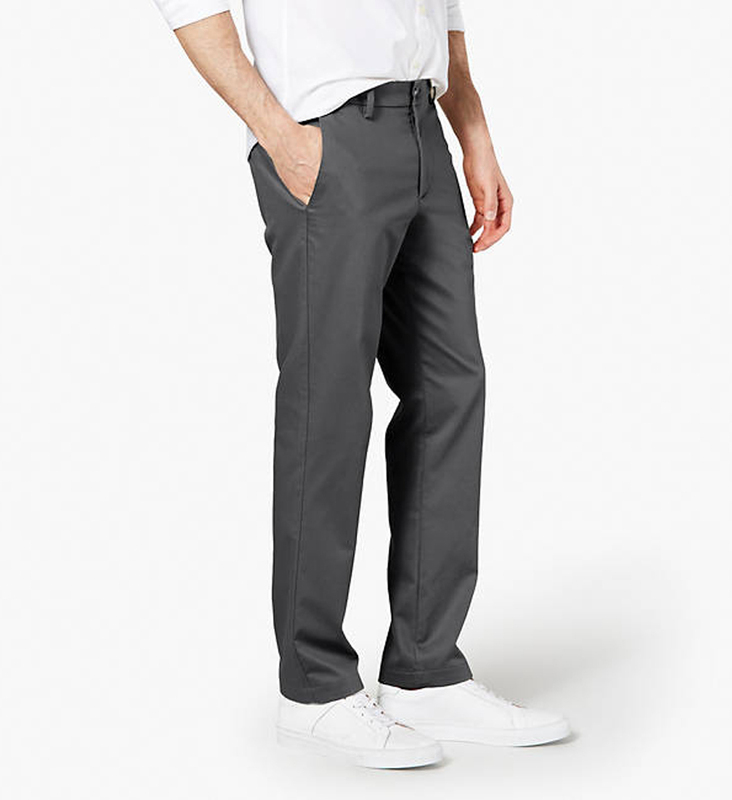 The key to getting the most style miles out of your khakis is to wear them during your downtime (i.e. outside of work). They're just as comfortable as your favorite worn-in jeans, but not as casual. I suggest wearing them this summer with warm-weather staples like a short-sleeve Hawaiian shirt or with your go-to denim jacket and graphic t-shirt. 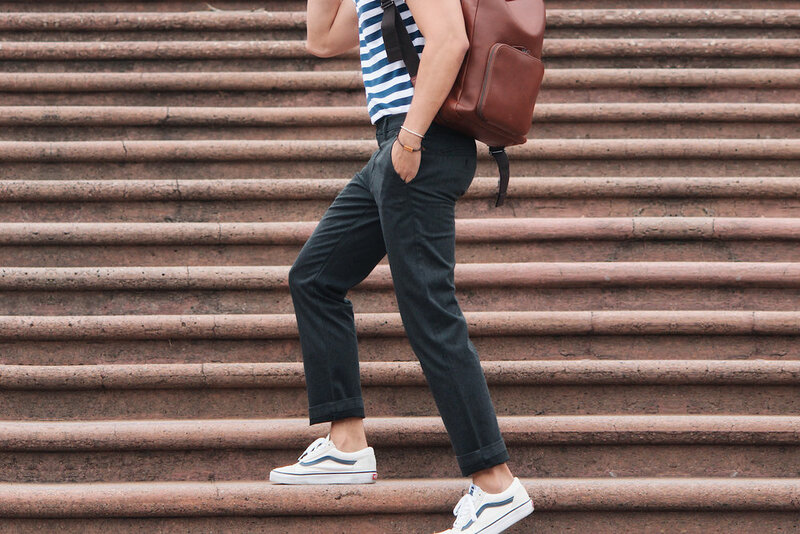 I hope these looks inspire you to ditch your old chinos and throw on a pair of the new and improved Dockers Signature Khakis. If you have any questions about what khakis are right for you or how to style them, remember that you can always ask me anything in the comment box below. Have a great day and don’t forget to subscribe to my newsletter to get Reyal Fashion sent straight to your inbox.